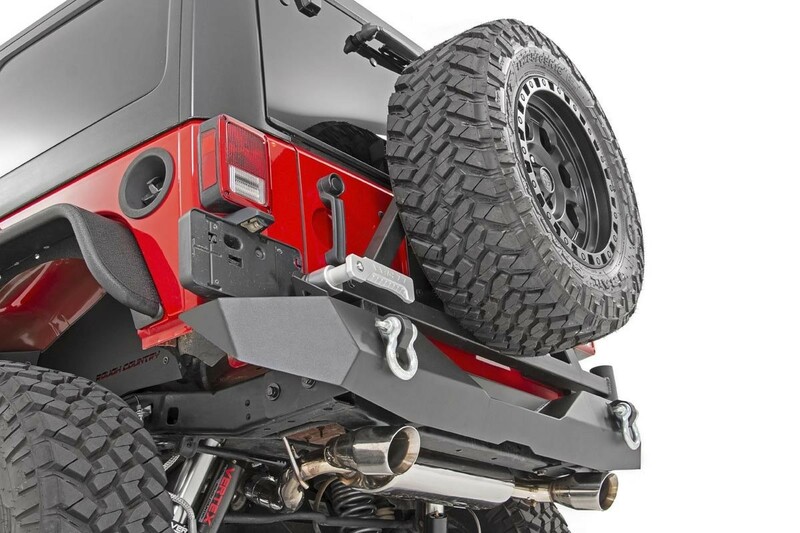 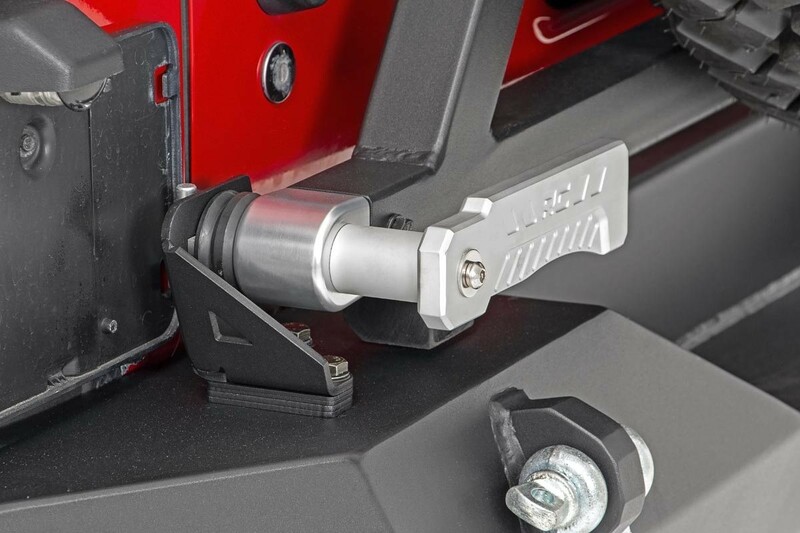 Beef up your JK’s rear end with Rough Country’s Heavy-Duty JK Rear Bumper with Tire Carrier! 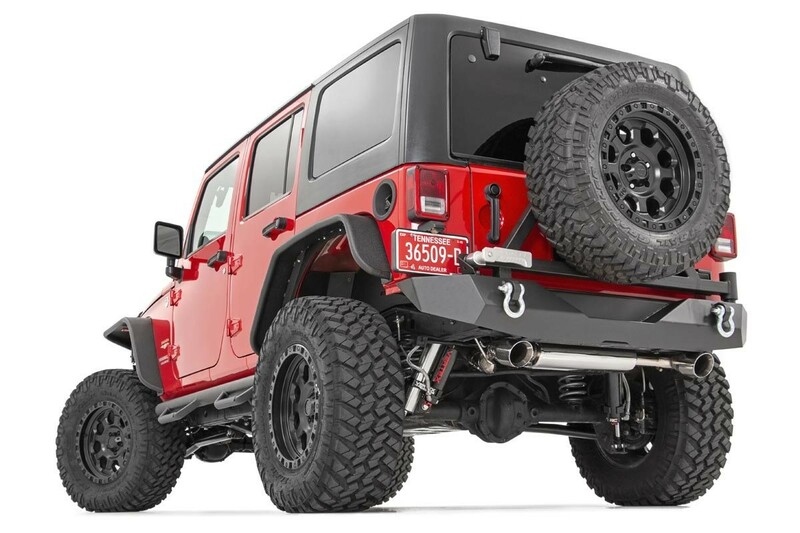 This stylish, durable steel bumper offers unbridled protection for the rear of your JK while giving you increased tire clearance for off-road articulation. 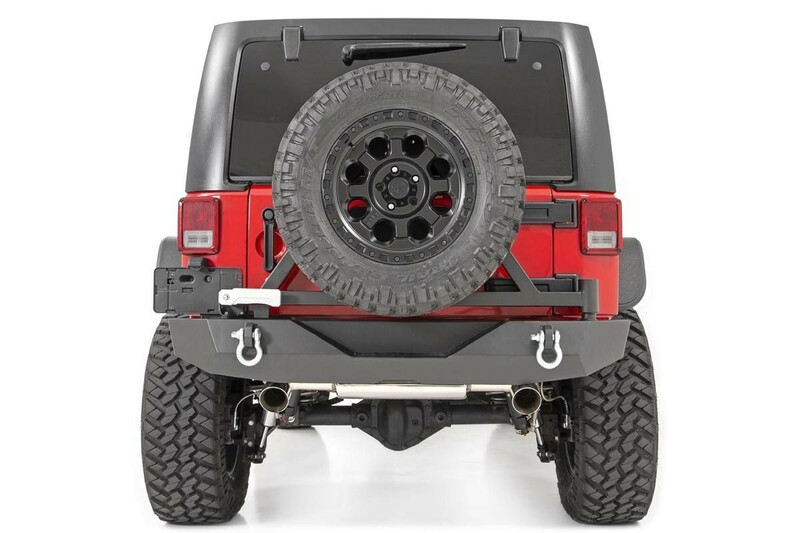 With bold angles and contoured curves, this rear bumper is a true head-turner that’s sure to get attention.